This research project is a collaboration between the University of Maine, Cold Regions Research and Engineering Laboratory, and the University of Kansas. 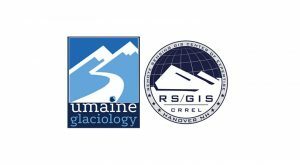 This grant supports the design, engineering, and deployment of a fully-autonomous, ground-based glacier-monitoring system, also known as the Atlas System. The system integrates state-of-the art Light Detection and Ranging (LiDAR) laser technology, an innovative solar power system, and satellite communications to remotely scan glaciers in unprecedented detail. The LiDAR technology is a unique 3D imaging survey that uses a pulsed laser to illuminate a target and analyze the reflected light. Measurements from the Atlas System will yield insights into the physics behind dynamic changes in glacier topography, allowing scientists to better predict future rates of glacier loss and its associated sea level rise. The equipment is deployed on the Helheim glacier, Greenland’s largest and fastest-moving glacier.